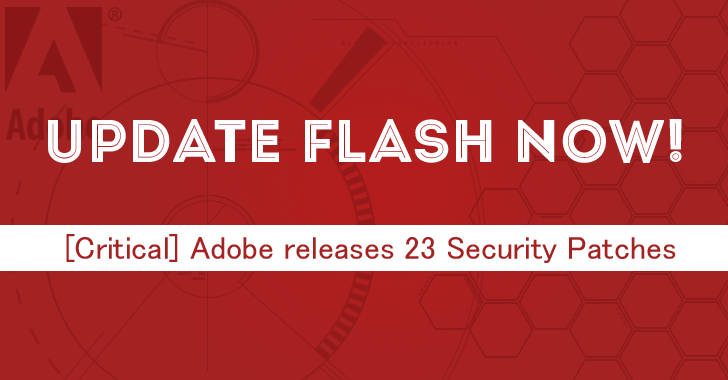 Adobe has released an important security bulletin that addresses a total of 23 Critical vulnerabilities in Adobe Flash Player. The security fixes for Windows, Linux and Mac users address "critical [flaws] that could potentially allow [attackers] to take control of the affected system," the company warned in an advisory on Monday. Out of 23 critical flaws, 18 address issues that would have allowed attackers to remotely execute arbitrary code on affected machines and take over control of them. Also, the company also added extra validation checks in Flash's mitigation system in order to reject malicious content from vulnerable JSONP callback APIs. The latest Adobe Flash Player versions are 19.0.0.185 for Windows and Mac, as well as version 11.2.202.521 for Linux. Users of Chrome and Windows 8 running Internet Explorer will receive the updated version of Flash Player automatically. Users of other browsers can manually download updates from Adobe's download page. Users of the Adobe Flash Player Extended Support Release are recommended to update to the latest version 18.0.0.241.